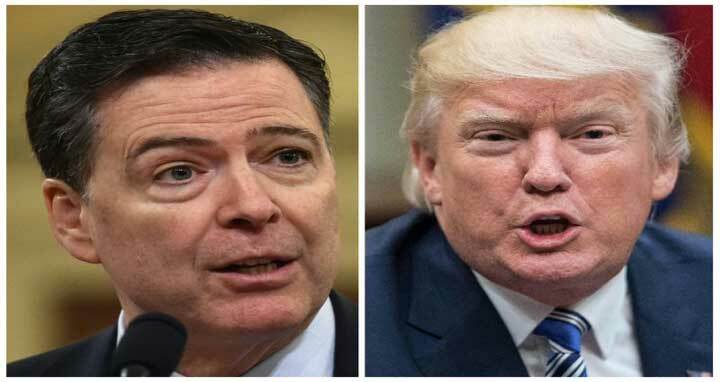 Dhaka, 16 April, Abnews: Former FBI director James Comey has said Donald Trump is a man "morally unfit to be president", who treats women like "pieces of meat". Comey was giving his first major television interview since he was was fired by President Trump last year. He told ABC News that Trump was someone "for whom the truth is not a high value". Hours before the interview aired, the president went on the offensive, accusing Comey of "many lies". "I don't buy this stuff about him being mentally incompetent or early stages of dementia," Comey told ABC's 20/20 programme on Sunday night. "I don't think he's medically unfit to be president. I think he's morally unfit to be president. "Our president must embody respect and adhere to the values that are at the core of this country. The most important being truth. This president is not able to do that," Comey said. After the interview aired, Trump's party - via the Republican National Committee - released a statement saying Comey's publicity tour for his new book showed "his true higher loyalty is to himself."